Foodies! Bringing you garlicky and spicy Chilli Paste. It can be used as an accompaniment for your dimsums or with any oriental/ Asian broth dish as well. 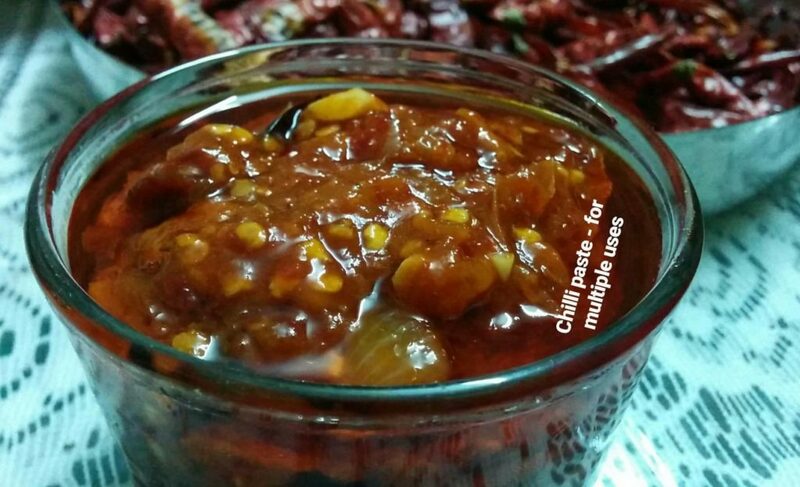 It can be used as key ingredient to make your sauce even more spicier. Get your palates on Fire ! Take a pan and heat the oil in it, once the oil is hot add the shallots and garlic. Saute them. Add the chilli paste in the pan and mix well. Add little bit of warm water and cook well. Add salt and pepper in the pan. Cook for 8-10 mins on low flame. Check the consistency. Once the paste is at room temperature store in air tight container for up to 2 weeks. Enjoy.